A landing page is a web page created as a destination for visitors to your website to get information about a particular offer or resource that’s relevant to them. Let’s face it, you have just a few seconds to grab a visitor’s attention. It is essential your headline is bold and straightforward. 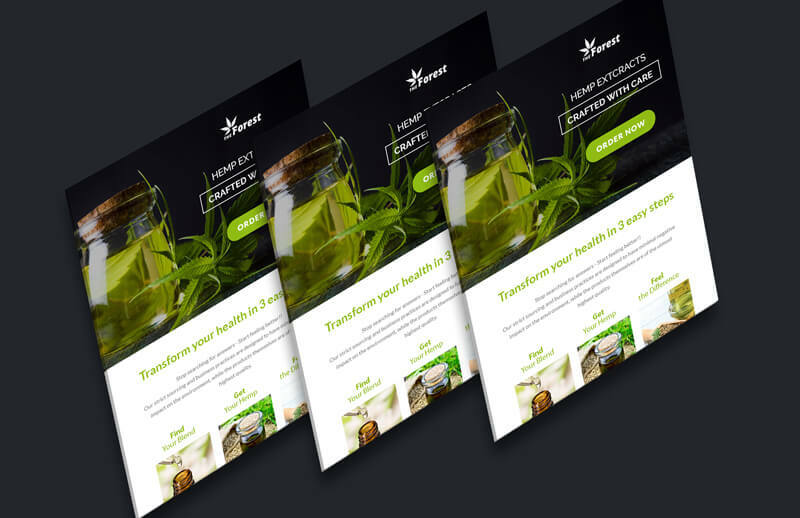 Like all headlines, landing page headlines have to be concise, offer a specific, highly desirable benefit that solves the visitor’s problem, and deliver on the promise of whatever marketing brought the visitor to the page. Keep your headlines bold and short to get your user’s attention instantly. Read the first sentence of your landing page. Does it compel you to read on? If it doesn’t, delete it and try again. A great headline catches the attention of the visitor and instantly gives them an idea of the value they can get. Images are the first thing prospects see on your Landing Page. Human brain looks at images and colors first before consuming any other content. If that isn’t reason enough to choose good landing page images, humans’ ability to remember depends upon visual references, as about 90% of information that enters the brain is visually-based. Images help build internal narrative and outside communication. When searching for the right landing page images, you should seek images that match the overall look and feel of your brand. As the famous quote says, “A picture is worth a thousand words.” Landing pages that will convert must have relevant pictures. Your landing page is where you will convince your audience to purchase your products or use your services. You need to create compelling content that will drive them to convert. Many companies choose to focus too much on all the great aspects of their company. While it is important to promote these things, you want to make sure that you are focusing on the value of the product or service for the customers. They want to know how they will benefit from choosing your business. Take a second to look at your landing page from your visitors’ eyes. Is it immediately apparent how the product will help them? To help your audience focus on completing a goal, you need to use a call to action (CTA) on your landing page. CTAs help guide your audience to the next step. Your buttons should be your landing page’s most prominent element. You don’t want visitors to wonder where or how they should take action. Try backing away from your screen and squinting at the page until it’s blurry. Does your call to action still stand out? If it merges with the rest of the page, you need to make adjustments. Loading time can directly affect the conversion rate of your landing page, as the longer it takes a page to load, the more people will abandon it. Site speed on mobile, in particular, since more than half of all web traffic now comes from mobile devices. Optimizing loading time should be one of your top priorities when building a landing page because slow page load times kill both bounce rates and conversion rates. It’s pretty simple: the faster the speed of your website, the happier your visitors will be. The real trick to each of these points is iterating, testing and refining based on results. Landing pages aren’t things that are launched and done; they need to be continually tweaked to find the combination that really moves the needle. There is a lot more to landing page optimization that what we covered. But these few tips will help you hit the ground running so that you can create dynamic landing pages with the opportunity for higher conversion rates. Looking to launch a new landing page for your marketing campaign?